Places, People, Culture, Food, Nature....LIFE!!! 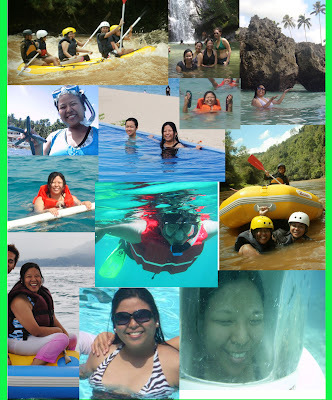 Looking at the collage I made of me in the water makes one conclude that I love the water and I swim until I drop. Well . . . . . almost true. I love going to the beach, dipping in the pool, trying out activities on the water BUT . . . . . I must be in the water where I can reach the bottom, I must have a life vest when I can't reach the bottom and my heart beats ten times faster when I try out activities in the water. In other words . . . . . I don't know how to swim. I know how to float on my back and on my belly and I do swim the way I know how which unfortunately is the wrong way. I also know how to drown as I can still remember a memory of myself with a couple of people I can't recall who (selective memory), was saved by a lifeguard at White Rock Beach Resort. Then one day I was invited to go surfing. It was something I won't do because you can't wear a life vest there. Still, I went because I've always wanted to take photos of the surf & the surfers. Though, I got jealous as my companions were all getting stoked while learning to be up on those waves. So when I got back to Manila, I googled for swimming classes. 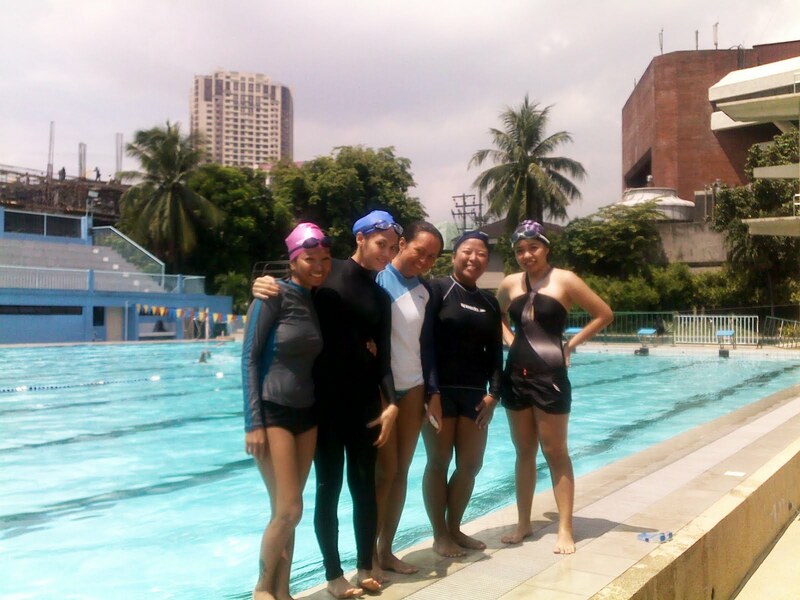 My swim class is at PhilSport Complex (former Ultra) in Pasig City. Our regular classes would be on weekends 9am - 10am and at times, on weekdays. An hour is equivalent to one class per day but because I'm determined to learn the right way, I usually spend 2 - 3 hours a day in the pool just practising. I have a lot of adult classmates, some share the same goal, which makes learning fun and achievable. My teacher/coach is Rosa Alcantara who is the daughter of swimmer Sotero Alcantara or more known as Coach Terong in the swimming community. She was a member of the University of Sto. 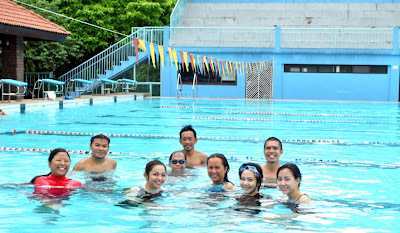 Tomas (UST) swimming team and NCR team of Palarong Pambansa from 1991 - 1996. She was also part of the sychronized swimming team when it was starting here in the country. Coach Terong had exposed her to teaching swim lessons at an early age of 13 as he had a lot of swimming programs during summer. Now, she does this as a profession all throughout the year teaching kids from ages 3 to adults of 70 years old. She also does private lessons outside Ultra like she can go to one's house or condo if they have a pool but must be teaching a minimum of 2 - 3 students. Her schedule in Ultra is every weekend and can do weekdays at a minimum of 3 students. 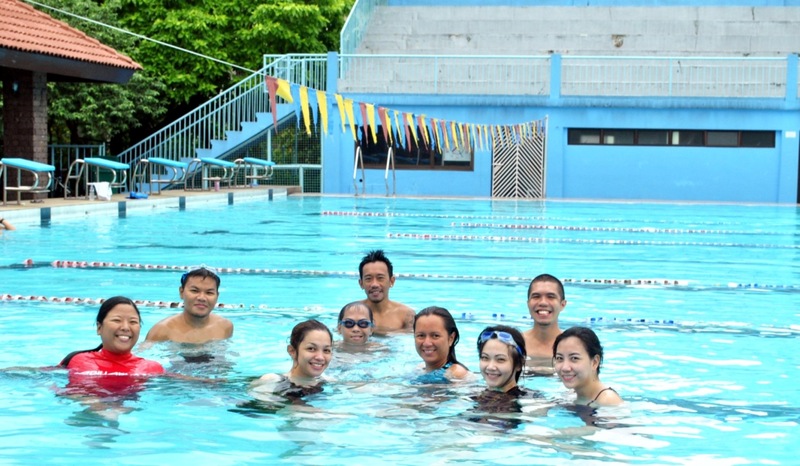 Her husband, Ivan is also her partner in teaching the hopeful swimmers. Kid's beginner course ages 6-11 : orientation to water, basic safety rules, blowing bubbles and bobbing. Expands on basic skills, gliding, rhythmic breathing, flutter kick, and basic freestyle. 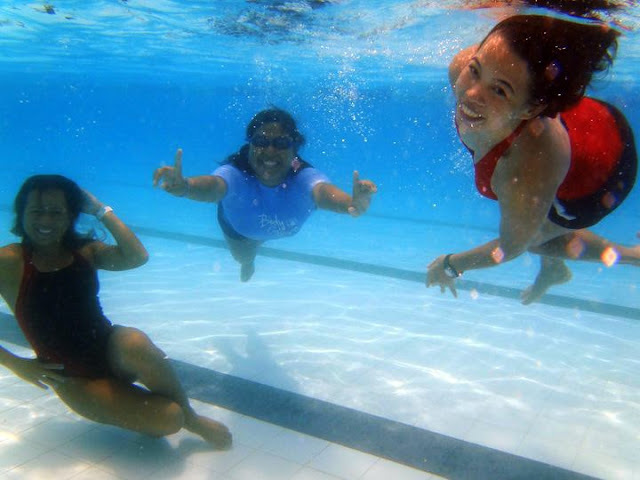 Teen's beginner course ages 12-18 : basic skills, basic safety rules and basic freestyle. Adult's beginner course: basic safety rules, survival, threading and basic freestyle. From the program description, I fit on the Toddler group. LOL! Thanks for sharing same interest in swimming. Good luck to your travels and have fun! 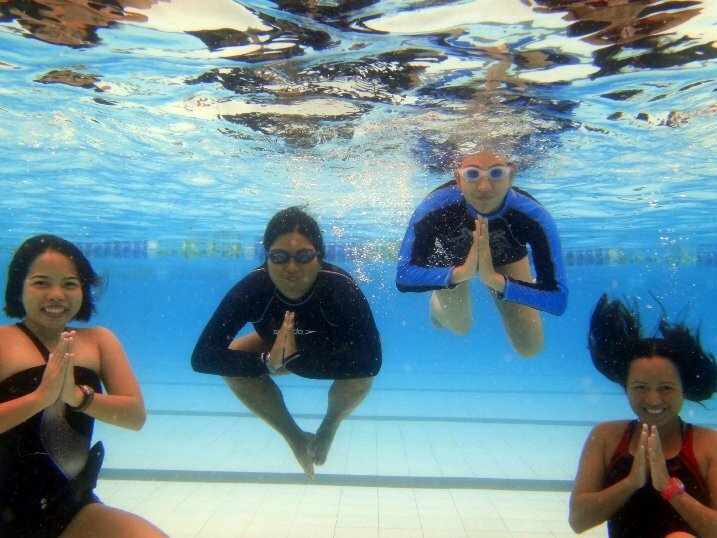 do you know of any swimming lessons using INDOOR pool? i have a skin condition and my doctor has told me to avoid exposure to sun, but i can swim as long as i wear rash guard. hope you can help me out. thank you! hi beth. i'm not really sure but from what know you can find an indoor pool and if Coach Rosa or Coach Ivan can go there, they can hold the swimming lessons there. You just need to pay extra for the pool. to be sure, you my contact my coaches. they're the best. how much per session for the toddlers? Sorry, the blog post has just been updated. Coach Rosa says that there's no more classes for toddlers. Please contact her for your inquiries on updated rates. Thanks. ...and the rest of Pagudpud. My Lakbayan grade is B! You don’t get to choose how you’re going to die, or when. But you can decide how you’re going to live. I am just an ordinary girl who wants to do extra-ordinary things and share it to the world.